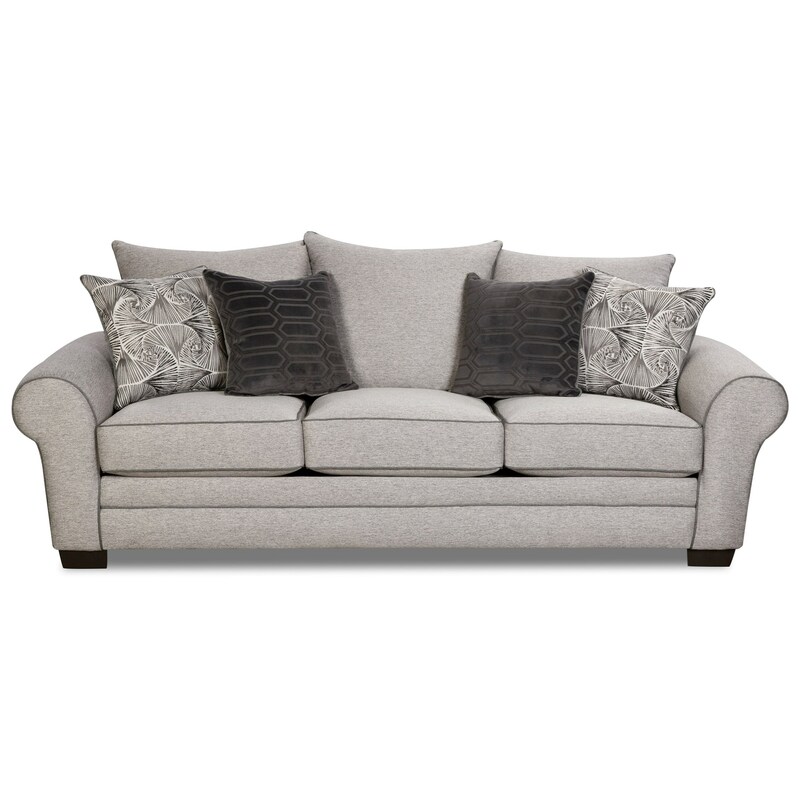 Complete the look of your living room space with this simple and sophisticated sofa. Contrast cord welt detailing and rolled arms offer the perfect design look, while plush loose cushions create irresistible comfort. This collection ALSO includes a loveseat, chair and a half, and ottoman, as well as a coordinating accent chair and ottoman. The 5400 Transitional Sofa by Corinthian at Miskelly Furniture in the Jackson, Pearl, Madison, Ridgeland, Flowood Mississippi area. Product availability may vary. Contact us for the most current availability on this product. Simple yet sophisticated, this collection of living room items will bring both style and comfort to your home. Cord welt detailing and rolled arms give these pieces their transitionally-styled appearance, while plush, oversized cushions create just the right amount of comfort. The 5400 collection is a great option if you are looking for Contemporary furniture in the Jackson, Pearl, Madison, Ridgeland, Flowood Mississippi area. Browse other items in the 5400 collection from Miskelly Furniture in the Jackson, Pearl, Madison, Ridgeland, Flowood Mississippi area.